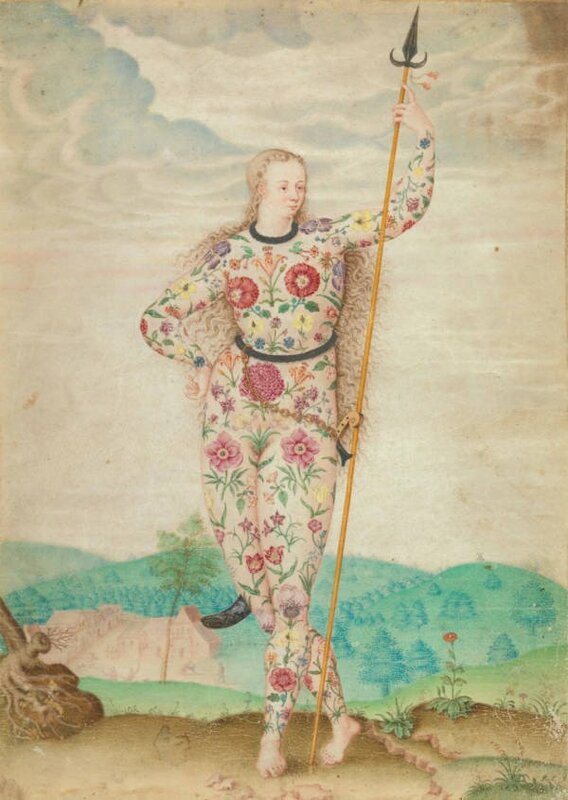 A depiction of a Pict warrior, painted as described in Roman history. Some 2,000 years ago, Scotland was home to a group of people known as the Picts. To the Romans who controlled much of Britain at the time, they were but mere savages, men who fought completely naked, armed with little more than a spear. But the Picts were fearsome warriors. Every time the Roman Empire tried to move into their territory, the Picts successfully fought back. The Roman legions were the greatest military force the world had ever seen and the only people they couldn’t conquer were this wild clan. Yet despite their formidable warrior culture, the Picts mysteriously vanished during the 10th century. The wild men the Romans could not conquer faded away and barely left behind a trace of their existence. Today, historians still struggle to piece together a glimpse into who the Picts were and what happened to their mighty culture. A Pict woman drawn covered in flower tattoos. The Picts were so named by the Romans who observed and record them, but as was the case with many ancient peoples, the Picts did not refer to themselves that way. 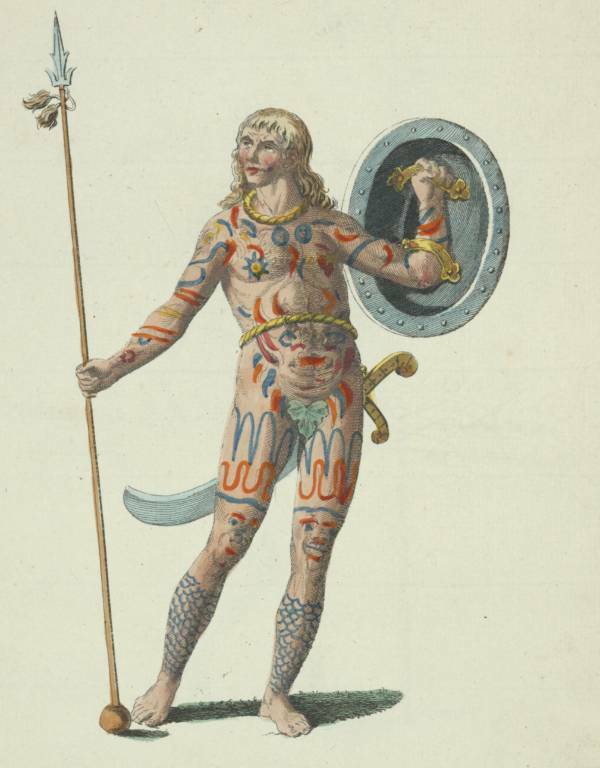 “Pict” is believed to be a derivation of “The Painted,” or “Tattooed People,” which described the blue tattoos with which the Picts covered their bodies. According to other Roman sources, the only clothing the Picts wore were iron chains around their waists and throats. Iron was considered to them a sign of wealth and a material more valuable than gold. In addition, iron also served a practical use, the Picts could use these chains to carry swords, shields, and spears. Their bodies were otherwise adorned head to toe with colored tattoos, designs, and drawings of animals. Indeed, these designs were so so intricate and beautiful that the Romans believed the reason the Picts didn’t wear clothes was to show them off. 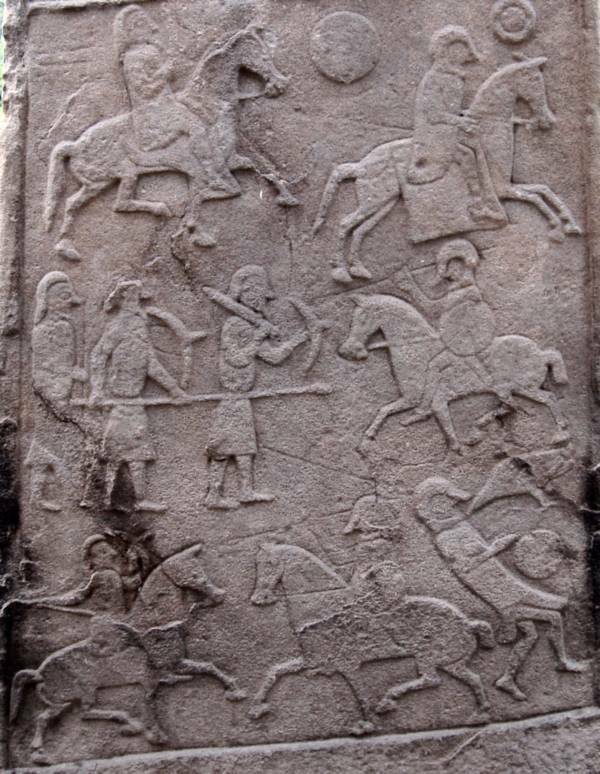 A Pictish stone tells of a battle scene, presumably the Battle of Nechtansmere of 685 AD. When the Romans invaded Britain, they were accustomed to winning. They had conquered every powerful civilization they had yet come into contact with and destroyed any armed opposition with a flash of armor and steel that knew no equal. But they had never faced an enemy like the Picts. But the victory proved to be an illusion. While the Romans were setting up camp, the Picts returned pouring out of the woods and seemingly out of thin air. They caught the Romans completely unaware and massacred them. 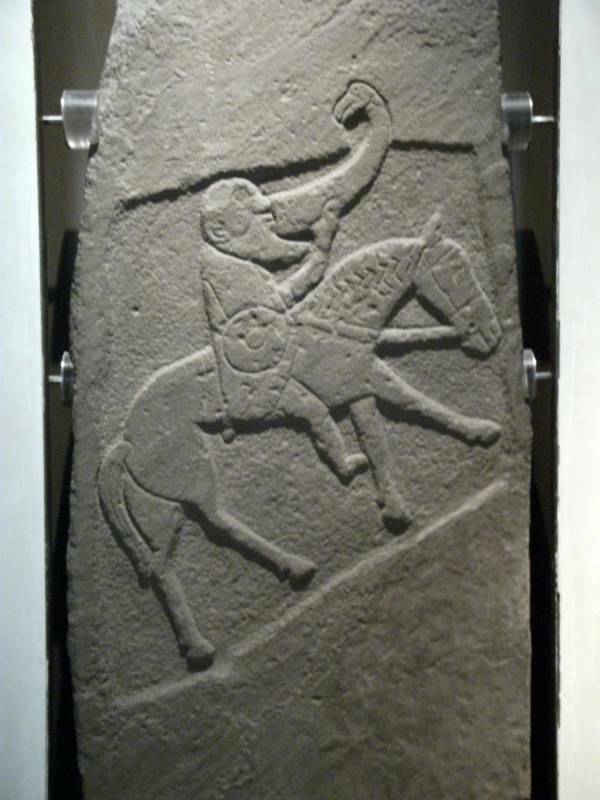 A Pictish rider drinking on horseback. Time and time again, the Picts would lure the Romans into a false sense of security before striking when their guard was down. For instance, they would often charge the Romans on horseback and immediately retreat, luring the Roman cavalry away from their infantry. Then, a second squad of Picts would leap out of the woods and slaughter any Romans that had been foolish enough to give chase. “Our infantry,” Julius Caesar wrote, “were but poorly fitted for an enemy of this kind.” Indeed, when the Romans took over a Pict village, the clans would move on to another one and prepare to strike back. Much like Napoleoncould not pin down the enemy and force them to fight on his terms during his invasion of Russia, the Picts continuously frustrated the seemingly-superior Roman forces by their refusal to fight in the Roman way. The Picts were faster, knew the land better, and had they more to fight for. By Roman counts, some 10,000 Picts died fighting against their forces — but Scotland never fell to them. A depiction of a Pict from a 19th-century history book. This story, though, is one told by an invading force. It’s a Roman version of the Picts, which is likely far from the whole truth. It’s hard to say what life among the Picts was really like. Little Pict writing has survived to this day. The only hints we have come from a scattered handful of relics uncovered in British archaeological digs. What we’ve found, though, bears little resemblance to the Roman version of the story. The Picts, historians believe, weren’t a particularly war-like people. With the exception of a few cattle raids between neighboring tribes, they lived in relative peace only taking up arms when the Romans forced them to defend their homes. There is little proof even that they really fought naked. Most of what archaeologists have discovered about the Picts comes from the 5th century or later, but by then, at least, the culture had taken to using linen, wool, and silk. They drew themselves dressed in tunics and coats in pictures. Interestingly enough, the Picts seem to have been farmers and were a peaceful people who focused their faith on nature. They believed a goddess had walked through their lands and that every place where her foot had landed was sacred. Their fierce commitment to their ancestral land is likely what motivated them to become fearsome protectors of it and a dangerous enemy to the Romans. 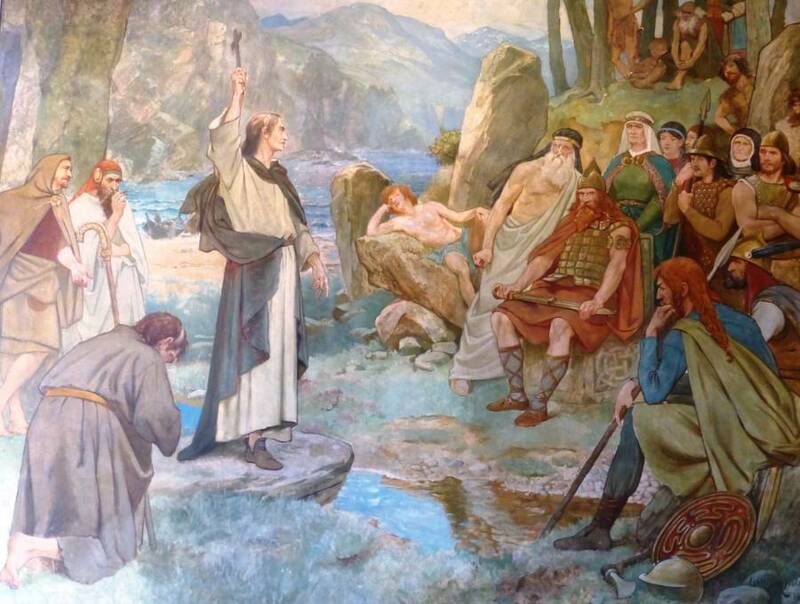 Saint Columba converting the Picts to Christianity. In the end, it wasn’t the drums of war that toppled the Picts: it was the cross. In 397 AD, Christian missionaries started moving into the Picts’ territory and spread the message of Jesus Christ. One of the most successful individuals in converting the Picts was Saint Columba, who famously won over the clans by banishing a monster they thought dwelled in the River Ness – a story that’s believed to be the basis for the legend of the Loch Ness Monster. By this point, Pictish culture began to change. 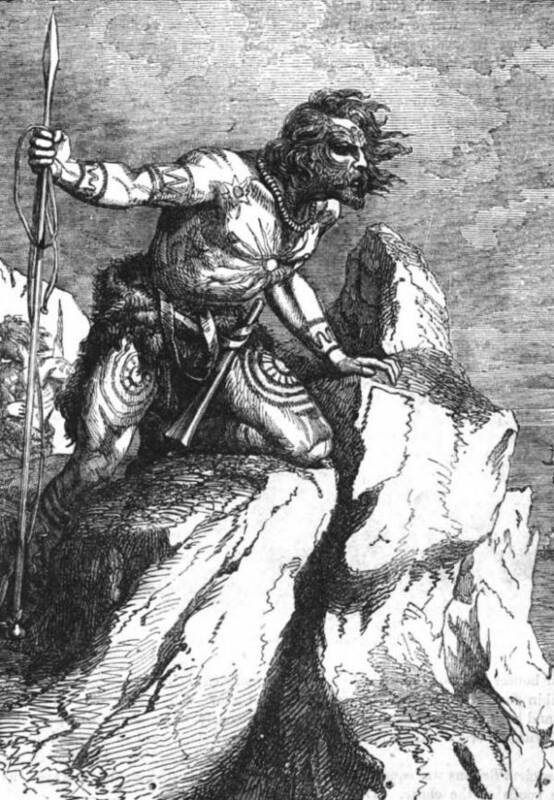 More and more, they became influenced by their Gaelic neighbors and started to imitate their language and beliefs. The last Pictish kings died in 843 AD — killed, depending on who you believe, by either the Vikings of the Scots. Then, the King of the Scots, Cinaed Mac Alpin or Kenneth MacAlpin, crowned himself as their ruler and formally united the Picts with the Scots. 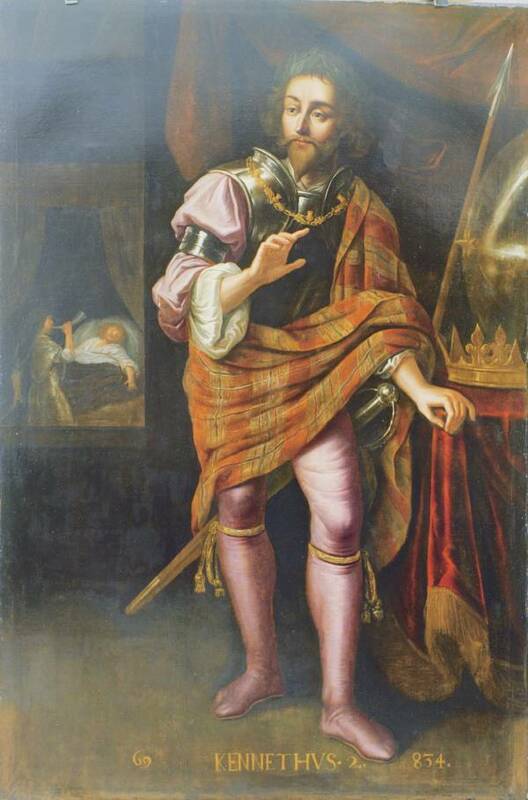 Kenneth MacAlpin, the first King of Scotland and the last King of the Picts. At the same time, Scotland was threatened by ongoing Viking raids. The remaining Picts had no choice but to fight side-by-side with the Scots to defend their ancestral land. By the 10th century, their Kingdom was wholly transformed into the Kingdom of Alba, and their own language was replaced by Gaelic. The last traces of a distinct Pict culture were lost. Fortunately, small hints about who these people were continue to be uncovered. A handprint on a stone here, a symbol on a wall there; every new artifact uncovers a little more of what life was like for “Europe’s Lost People,” the ancient tribe that once struck fear into the heart of the mighty Roman legion.